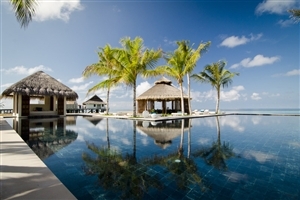 An enchanting tropical resort set on its own private island in the glistening Indian Ocean, Jumeirah Vittaveli is a fabulously contemporary choice for a Maldives holiday. 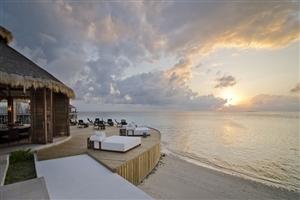 Comprising of Villas positioned on the white sand beach or on stilts above the Indian Ocean, a stay at Jumeirah Vittaveli’s is a chance to wake up to stunning views every morning. 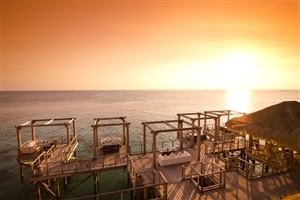 During your stay, embrace your idyllic surroundings with a treatment in the sumptuous Talise Spa, a romantic Oceanside meal and an unforgettable spot of scuba diving. 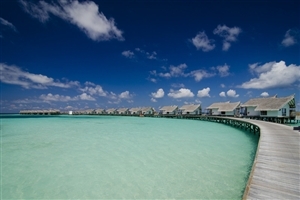 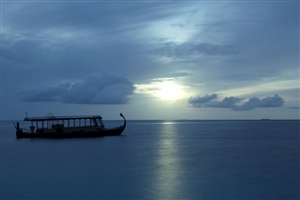 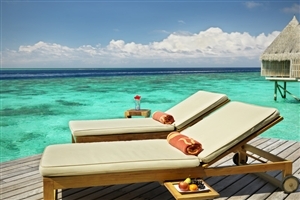 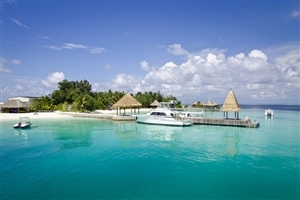 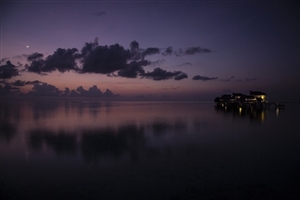 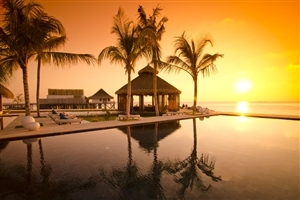 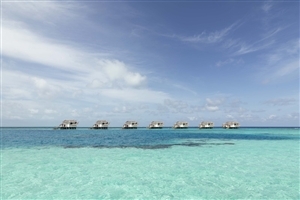 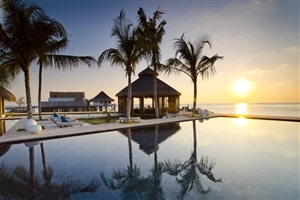 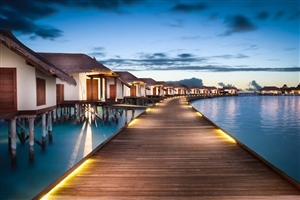 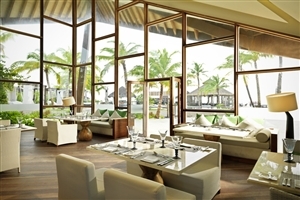 Jumeirah Vittaveli is accessed via a short, yet scenic boat journey. 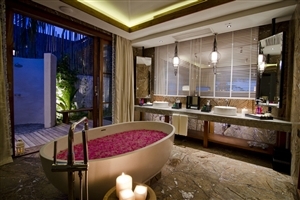 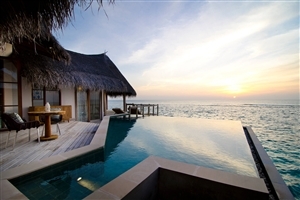 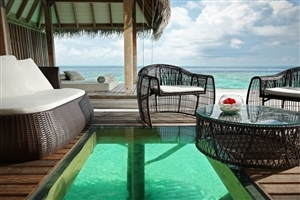 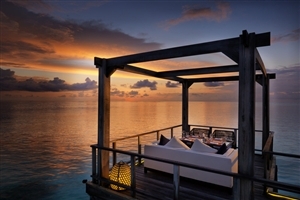 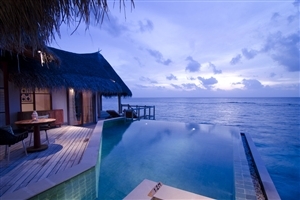 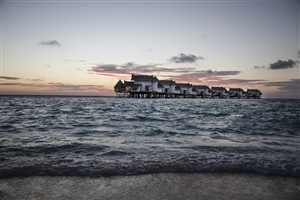 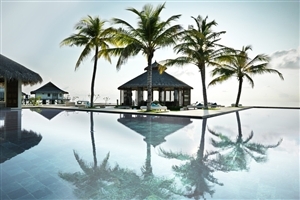 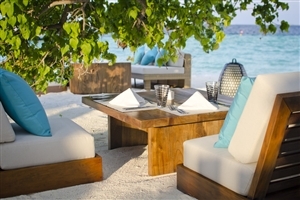 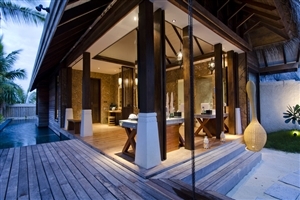 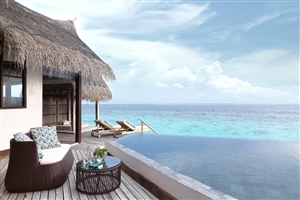 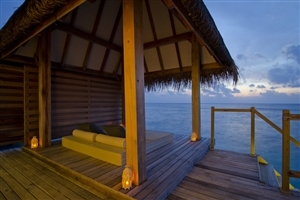 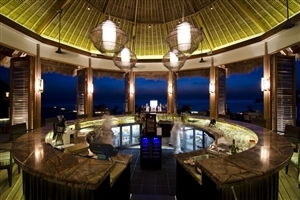 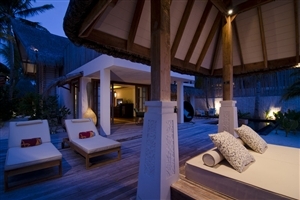 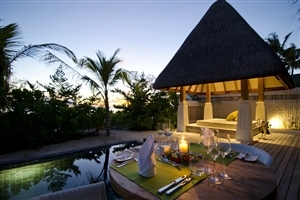 Just recently opened, Jumeirah Vittaveli is a magical island escape, informal in style and yet high in elegance. 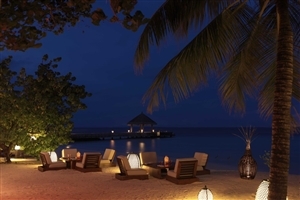 The idyllic setting amidst pristine beaches and iridescent blue waters creates a serene retreat for gentle relaxation complemented by sophisticated dining and excellent snorkelling in the rich coral reefs that encircle the island. 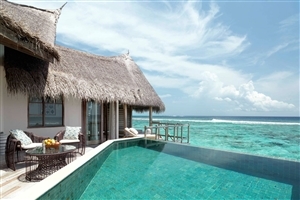 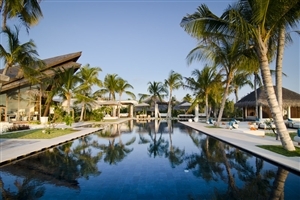 Whether you choose a villa on your own quiet stretch of dazzling white sands or a stilted lagoon villa set above the crystalline waters, you'll find comfortable daybeds are perfect for languorous afternoons beside your own sparkling swimming pool. 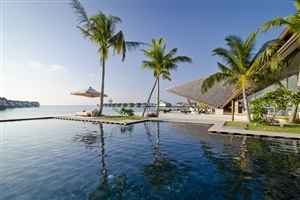 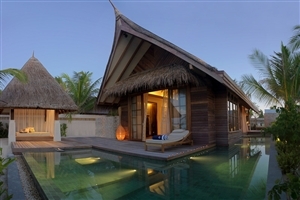 The Beach Villa with Pool at Jumeirah Vittaveli offers 184sqm of accommodation space and is situated on the soft sand beach to create a wonderfully relaxing setting. 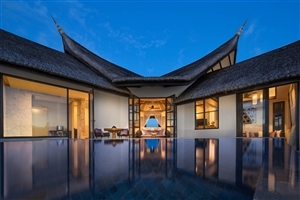 The Beach Villas feature a 49sqm private swimming pool, outdoor day beds, an open-air shower, an Apple Media Centre and a private wine cellar. 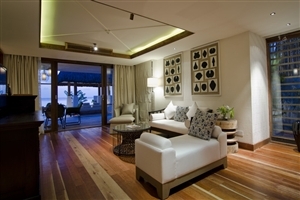 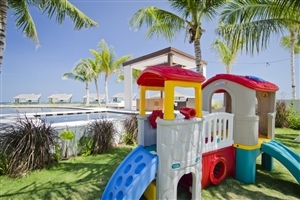 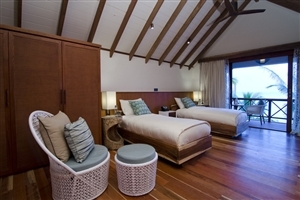 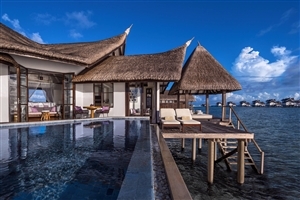 The Two Bedroom Beach Villa with Pool at Jumeirah Vittaveli offers 230sqm of accommodation space sets the tone for travelling groups and families. 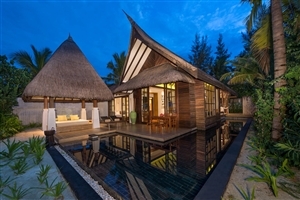 The Beach Villas feature a 49sqm private swimming pool, outdoor day beds, an open-air shower, an Apple Media Centre and a private wine cellar. 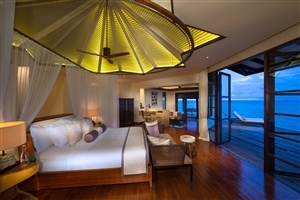 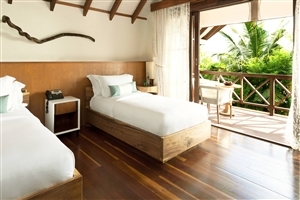 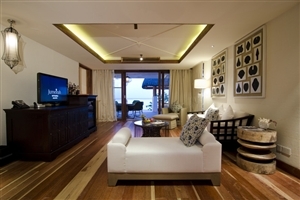 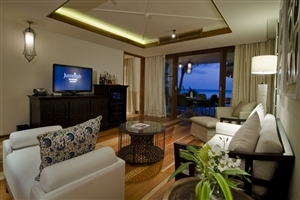 The Beach Suite with Pool at Jumeirah Vittaveli offers 320sqm of accommodation space and is furnished with plenty of comfortable commodities along with lavish furnishings to create a setting of sheer bliss, all further enhanced by a private pool and numerous modern amenities. 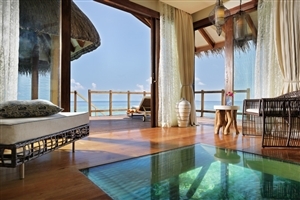 The Water Villa with Pool at Jumeirah Vittaveli offers 200sqm of accommodation space lavishly fitted with a wide array of plush comforts including a private infinity edge pool as well as a private deck that grants gorgeous views of the serene lagoon and Indian Ocean. The Ocean Suite with Pool at Jumeirah Vittaveli offers 256sqm of lavish accommodation space built on stilts and representing the ultimate romantic setting spread out over two levels and featuring such lavish perks as glass flooring to better showcase the wonders of the ocean up close and split-level veranda's that provide easy, direct access to the shimmering lagoon.